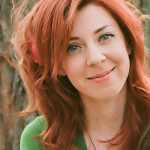 Jen Myers is a web designer/developer and part of the instructor team at Dev Bootcamp in Chicago. In 2011, she founded the Columbus, Ohio chapter of Girl Develop It, an organization that provides introductory coding classes aimed at women, and currently serves there as an organizational advisor. She speaks regularly about design, development and diversity, and focuses on finding new ways to make both technology and technology education accessible to everyone.